A brand new office building located at 1180 Toorak Road, Camberwell, Victoria, has been listed for sale by DTZ. The four-storey building has a lettable area of approximately 1,320 square metres. The office building has been finished to highest modern standards, with the state of the art technologies. The building offers touch screen panels for lighting, keyless entry throughout, with top of the range air conditioning, lift and security services. The building has an additional 38 undercover secure car spaces on site, with a site area of circa 550 square metres. An abundance of natural light seeks through the double glazed windows on all four sides of the building. The annual net income for the building is estimated at $449,600. The building is situated in Melbourne’s sought after inner eastern office market, Camberwell, which is adjacent to suburbs of Hawthorne, Hawthorne East and Kew. 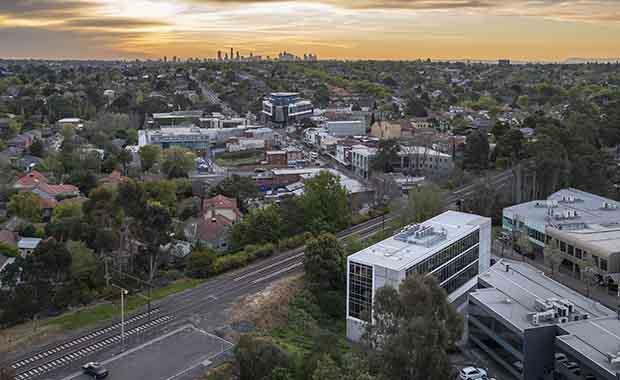 The city fringe region comprises of 25 per cent of Melbourne’s suburban office market, with a high demand due to the excellent amenity of retail, education, recreation and public transport. The building is located in a commercial and retail hub, minutes from the Monash Freeway, with public transport services close by, and nearby banks, cafes, restaurants, along with Camberwell Junction and Burke Road shopping precinct minutes away. Patrick O’Callaghan and Richard O’Callaghan from DTZ are handling the sale of the property. Patrick O’Callaghan said there is still a substantial demand for city fringe office investments. “Modern office investments in the inner east and city fringe are still in demand from private investors and syndicates, with the attractive yields on offer and sound underlying market fundamentals making offerings such as this very compelling,” Mr O’Callaghan said. Richard O’Callaghan added DTZ receives interest and enquiries for office spaces, by local and international investors. “We continue to receive strong interest and enquiries from both local and offshore investors for quality investments similar to this in and around the city fringe,” Richard O’Callaghan said.